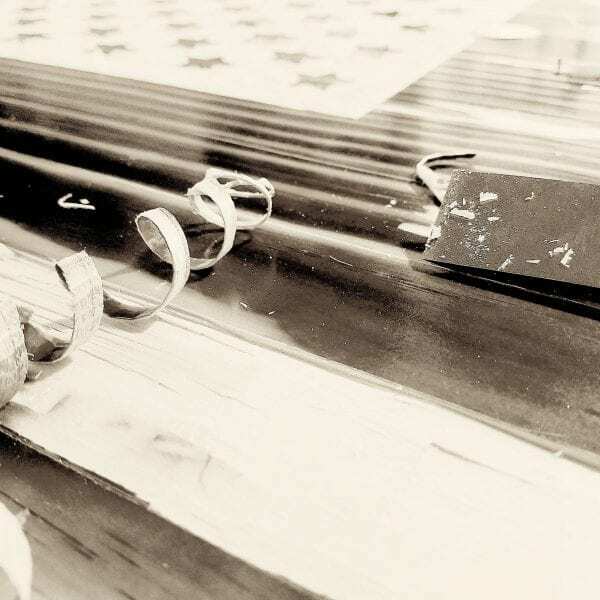 Pitch and Rudder is proud to present American Made Handcrafted American flags by American Grains. This is not the average flag you see online, each is handcrafted with precision from the hand of a Veteran and is built with perfection in mind! Pitch and Rudder is proud to present American Made Handcrafted American flags by American Grains. This is not the average flag you see online, each is handcrafted with precision from the hand of a Veteran and is built with perfection in mind! 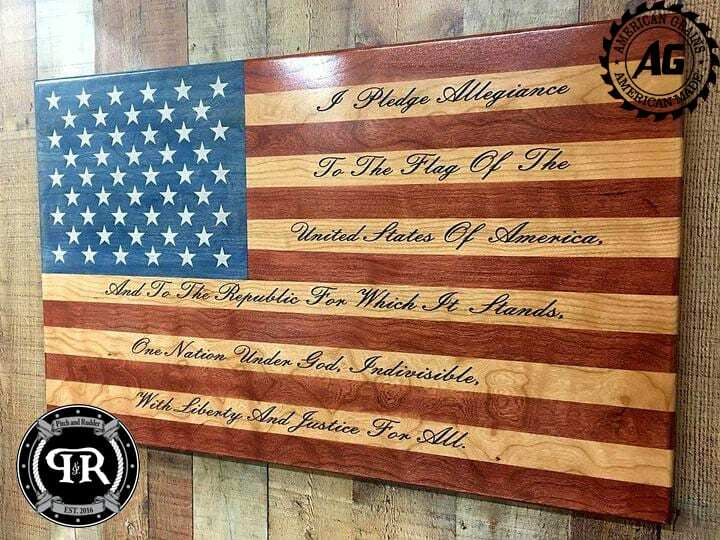 This flag has the Pledge of Allegiance engraved on it and it looks awesome!! These amazing works of art come in two different sizes a Desktop version at 6″x11″ and the Full-Size version at 21″x34″. 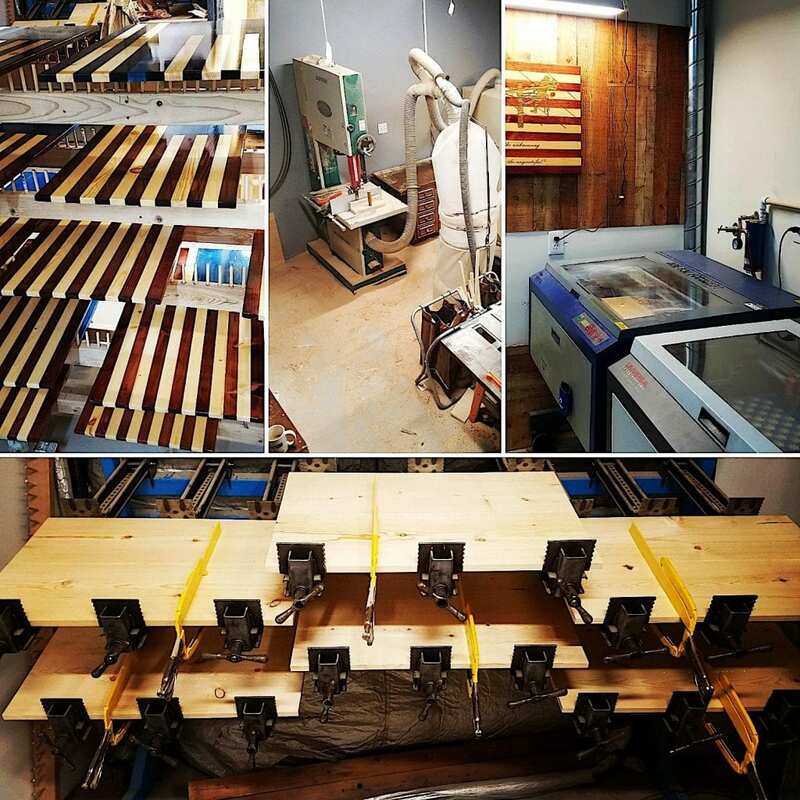 The Pieces are 21″x 34″ with laser engraved stars, stained, and 3 coats of high gloss lacquer. On the Back of the flag, we use 2 oak backers with rubber bumpers and hanging hardware. 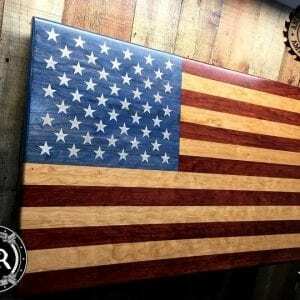 Every American Flag is a Unique and one of kind product, we make them as they are ordered and ensure that this is a flag that you will be proud to own and display in your, home, office or School! 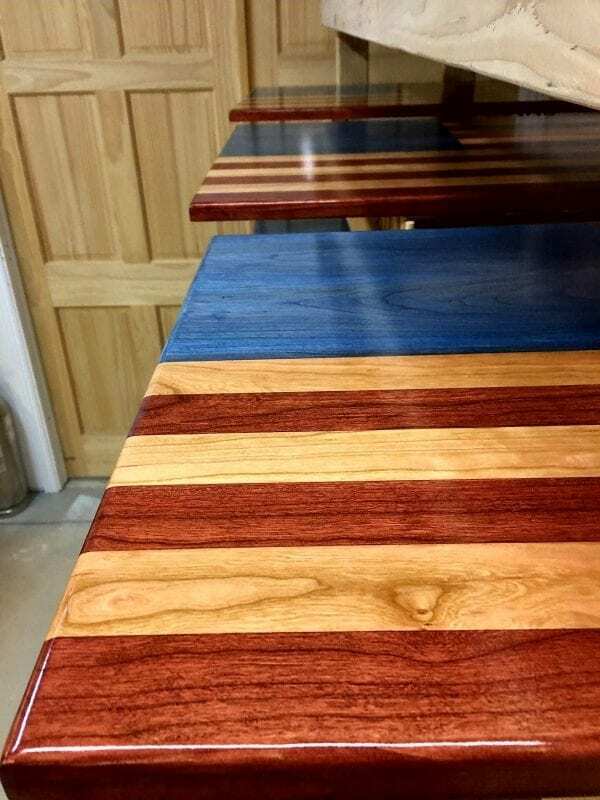 If you are looking for a more custom American flag, we have made it easier than ever to #GoCustom with Pitch and Rudder, Just click the link Here or the Go custom tab on the top and bottom of any page!